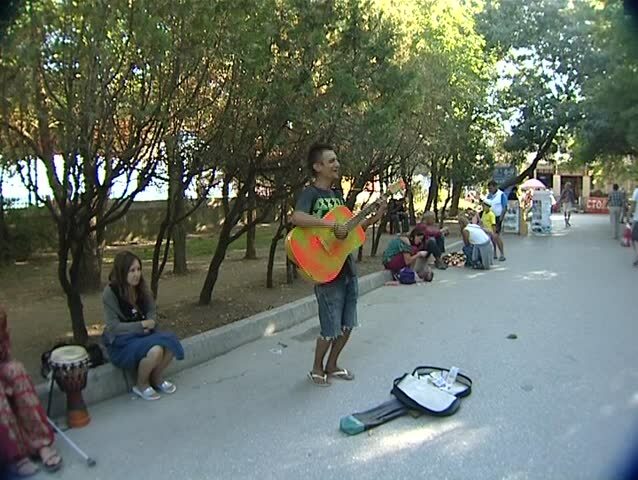 CRIMEA - AUGUST 30: Street musicians playing at Koktebel Jazz Festival on August 30, 2012 in Crimea, Ukraine. hd00:2415.11.2012 - Phuket. Streets of Patong (Thailand). Patong is one of the famous beaches and districts in Phuket. hd00:06ISTANBUL - MAY 1, 2013: People during march at KADIKOY RIHTIM for labor day protest. Many ways blocked to prevent activists from joining their mates in Taksim Square. Police patrol on an empty street.